Keep calm and hold on to your lightsticks, VIPs. Because Big Bang is coming to the Philippines! OK, I was kidding, you can totally scream now. 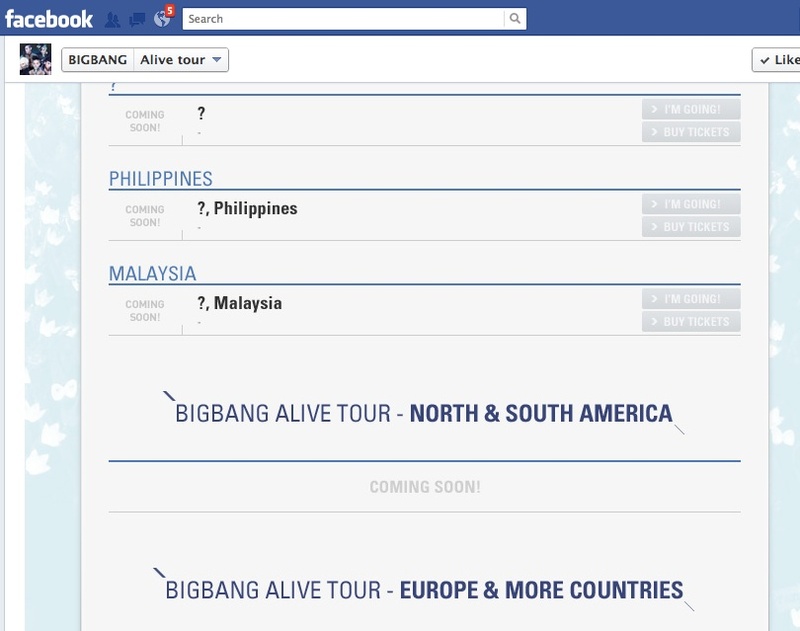 The date hasn’t been confirmed as of yet, but as of 5pm Philippine Time, it was announced on Big Bang’s Facebook page that Malaysia and the Philippines have been added to the Big Bang Alive World Tour, which is happening this year. Big Bang fan clubs have been abuzz with excitement and joy since the announcement, and already members of T.O.P. Philippines are discussing what sort of project we could have for our boys when they visit the country. If you have ideas, please post them here, or join the discussion over at our Facebook group page. This entry was posted in Concert, Events, News and tagged Alive World Tour, Big Bang. Bookmark the permalink.